"The Bright and Morning Star!" Do you recall what it was that led the “Wise Men” to Yeshua (Jesus)…? It was a STAR! And, why would Yeshua (Jesus) refer to Himself as… “The Bright and Morning Star…?” In Revelation 22:16 we have one of the most interesting names as Yeshua (Jesus) calls Himself, “the bight “and morning star.” This was to fulfil a prophecy, given all the way back in the Old Testament by the prophet Balaam, who said, “I see him, but not now; I behold him, but not near; A star will come out of Jacob; a sceptre will rise out of Israel,” Numbers 24:17. He did not refer to himself as a “star.” Instead, He called Himself, “The Bright Morning Star!” The wise men used a star as a point of reference. They were trying to find a certain place and a certain person! For thousands of years, mariners and travellers have used the stars as a guide and as a point of reference …and Yeshua wanted us to understand that He is our point of reference! Perhaps that is another point our Lord was trying to make. He is not just a star among many stars …He is unique and there is no one else like Him! The stars in the scripture refer to individual believers or to angels... The descendants of Abraham, the Jewish people, are referred to as stars (Genesis 15:5; 22:17; 26:4) and our Lord Yeshua (Jesus) came through this genealogy and was a Jew. The brothers of Joseph are symbolized by stars (Genesis 37:9-11). Joseph, Jacob’s son had a dream in which the sun, moon and stars bow to him. When Joseph tells his dream to his family, they have no trouble interpreting it and so Jacob rebukes Joseph, “what is this dream you had? Will your mother and I and your brothers actually come and bow down to the ground to worship you?” The “sun” represented Jacob, the father of the nation of Israel. The “moon” represented Joseph’s mother Rachel …and the “stars” represented Joseph’s eleven brothers and hence the other eleven tribes of Israel. The sun, moon and stars bowed to Joseph because he was a symbolic type of Christ. The Moon is used for counting months… God made the moon for the seasons (Psalm 104:19). The Moon has no light of its own but reflects the light of the Sun. From it we learn about reflected glory. Jacob knew this; and when he interpreted Joseph's dream in Genesis 37:9-10, he noted that the Moon symbolizes the Right Woman, who reflects the glory of her Right Man. In Psalm 89:36-37 the Davidic Covenant is portrayed with the Yeshua (Jesus Christ) as the Sun, who will rule on the throne of David in the Millennium; and the Congregation of Israel is portrayed as the Moon. And a great sign appeared in heaven: a woman clothed with the sun, and the moon under her feet, and on her head a crown of twelve stars (Revelation 12:1). In the symbolism of Revelation, the woman who is identified with the Moon and reflecting the light of the Sun is the Congregation of Israel. 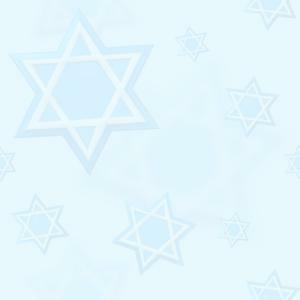 The twelve stars represent the twelve tribes of Israel. Thus, the Moon symbolizes the Congregation of Israel in relation to the Lord and by analogy it refers to the Church in relation to Christ (1 Corinthians 15:41). As with Joseph every knee shall bow to Yeshua (Jesus) and every tongue confess that He is Lord! 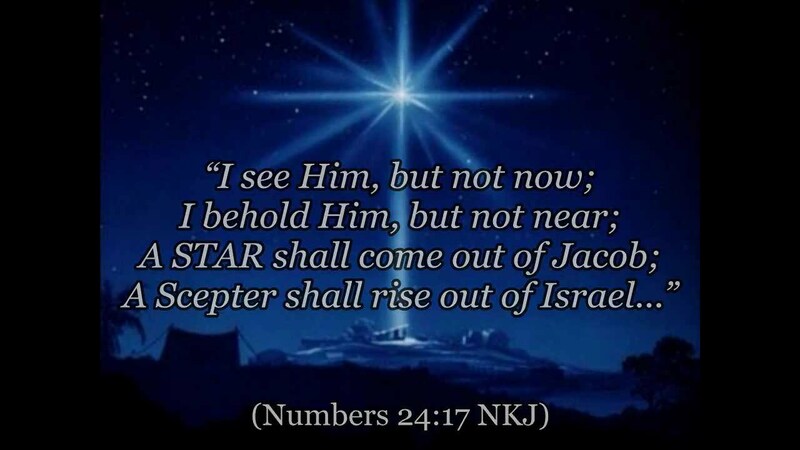 A “Star” shall come forth from Jacob, and a “Scepter” shall raise from Israel, Numbers 24:17. When Yeshua (Jesus) came the first time, born of a virgin, and went to the cross, He came as the incarnation of Christ, the Saviour. He will return again for the Church (also called the Rapture) …and a second time to deliver Israel at the end of the Tribulation to set up the Millennial Kingdom. In Revelation 1:20 stars symbolize pastors (believers), "the seven stars are the messengers of the seven churches." In Revelation 12:4 one-third of the stars of heaven which fall to earth represent the fallen angels. In Isaiah 14:12 Satan is symbolized as the "star of the morning" …because he falsely represents Yeshua (Jesus Christ) who is THE bright and Morning Star. So what is “the Morning Star…? In Biblical times and in early astronomy the “Morning Star” was the brightest star a person saw in the sky - just before daylight …but today we know that this “bright morning star” is actually not a star at all. Instead, it is the planet Venus as it appears before sunrise in the western sky. Many still refer to it as “the morning star! We have already said that the morning star is unique in that it is not a star at all but the planet - Venus. Some say that Venus is unique among the planets of our solar system. It is not the closest planet to our sun yet it is the hottest. But, there is something even more unique about this planet! If we could somehow look down on all of the planets in our solar system from above, they would all be turning in a counter clock wise direction …that is all of them except Venus which turns in a clock wise position. Yeshua (Jesus) is unique! There is no one else like him. He is the only one who can be our true point of reference. What does the “morning star” do day after day…? We know that as Venus arises in the western sky around 4:00 am, soon the birds will begin to sing. Shortly after that, in the eastern sky, the sun will begin to rise. The bright morning star represents the promise of a new day and it indicates that something better is coming...! Today as we live in a dangerous, dark world and many have lost hope, but, on the horizon we see “the bright morning star. It tells us that something better is coming; that our Lord and Saviour, Yeshua (Jesus Christ) will come again! 1. The morning star is a very solid light. Yeshua (Jesus) is the same yesterday, today and forever. Hebrews 13:8, "I am the Lord, and I change not." (Also Malachi 3:6). 2. Here is the greatest truth… As Morning star - it speaks about the secret coming of the Lord for His church in the “Rapture” which is the harbinger of His “open coming” which we call as the "Second Coming" - Malachi 4:2; Psalm 49:14; Romans 13:11-12; Proverbs 4:18. 3. The Morning Star is a great ornament and beauty to the heavens. Who is the object of worship and beauty in the heavens…? Yeshua (Jesus) is the fairest of ten thousand, He is the Rose of Sharon, He is the Lilly of the Valley. "who is worthy to open the book and break the seals thereof?" Revelation 5:2, "I will call on the Lord who is worthy to be praised," 2 Samuel 22:4. 4. The Morning Star is called the star of the first Magnitude with respect to its brightness. Who is the one who rose first from the dead…? Acts 26:23; Hebrews 1:3; Ephesians 4:9. 5. The Morning Star is said to cause gentle storms in winter and moderate heat in the summer. 6. The Morning Star is also known as the Evening Star. So the same star is the “beginner and the end of the day” – “Aleph and Tav” – “Alpha and Omega” - the “First and the Last” - the “author and finisher of our faith.” Revelation 1:8: Hebrews 12:2.
Who is THE “Morning Star” and THE “Bright Morning Star…?” This means we will have Christ Himself (as our reward) like God promised Abraham, “I am you exceeding great reward.” This connects with Revelation 22:16: “I, Jesus, have sent My angel to testify to you these things in the churches. I am the Root and the Offspring of David, the Bright and Morning Star.” Jesus is saying he alone is this, “I am the bright Morning Star.” Only here is the word “bright” is added to “Morning Star,” distinguishing Yeshua (Jesus) from any angel! The Hebrew word for “sons of God” is; “bene Elohim”” and in the Old Testament is used in a plural manner and refers to “angels.” Men are not called sons of God until the New Testament when the Holy Spirit resides in them. One becomes a “son of God” – children in His spiritual family (John 1:12; 1 John 3:1,10; 5:10) by being born again …by His Spirit living within us. We are adopted becoming part of a family of believers. Galatians 3:26-27, “For you are all sons of God through faith in Christ Jesus” (Romans 8:14, 19; Luke 20:36). The word “son” in this respect relates to possession …or that one thing belongs to another. 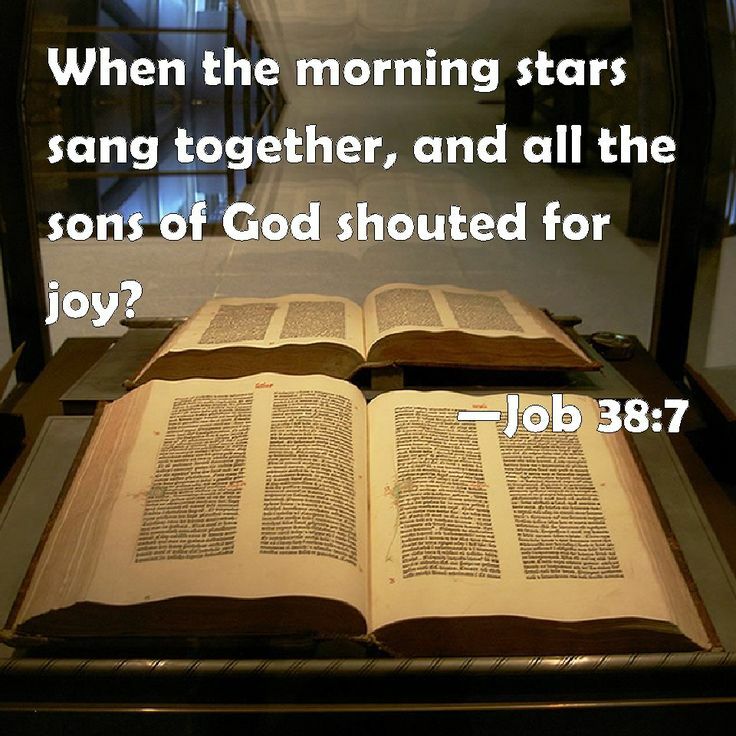 The word “Morning Stars” (plural) is found only once in the Old Testament and is plural in Job 38:7. The Hebrew word here for morning is “boker” or “dawn stars” - they are symbolized as when the angels were together in unity. We see this symbolically used when Satan states; “I will exalt my throne above the stars of God.” His goal was to become the authority over all the angels in heaven, something reserved only for God. What we have is both the symbolic usage of angels (morning stars) and what God calls them, sons of God. In Job 1; 2:1 these angels include Satan. When the word star is used symbolically, it is for angels (Job 38:7; Revelation 1:20; 9:1; 12:4. with Numbers 24:17 as an exception). We see this same type of symbolism in few places in the New Testament saying the same thing; showing the “stars” of heaven are symbolic of angels (Mark 13:25; Revelation 6:13; 12:4). Why are both Jesus and Satan referred to as the morning star…? The first reference to the “morning star” as an individual is in Isaiah 14:12; “How you have fallen from heaven, O morning star, son of the dawn! You have been cast down to the earth, you who once laid low the nations!” The KJV and NKJV both translate “morning star” as “Lucifer, son of the morning.” It is clear from the rest of the passage that Isaiah is referring to Satan’s fall from heaven (Luke 10:18). So in this case, the “morning star” refers to Satan. Before his fall the light bearer bore the name of son of the morning, an important star (symbolic) as light giver. Satan once a shining and beautiful star - but after he fell, his glory and position were taken away! Many make the mistake (some on purpose) that Lucifer is the “bright morning star” that the New Testament speaks of. Yeshua (Jesus) and is then confused with Lucifer because of this term being used! “All things were made through him, and without him was not anything made that was made. In him was life, and the life was the light of men. 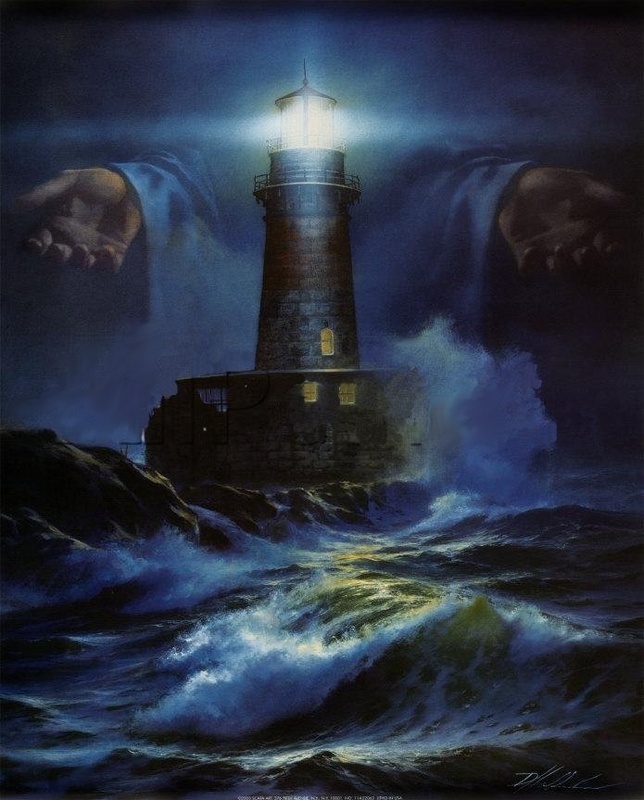 The light shines in the darkness, and the darkness has not overcome it,” John 1:3-5. Satan is immortal and a powerful spiritual being and that’s why he and his followers will spend eternity in the torment of hell. Satan rebelled against God and attempted to overthrow God. In his rebellion and fall he took one-third of the angelic beings with him (Revelation 12:4) and were thrown out of heaven. These fallen angels are what we know as demons and are his foot soldiers spreading havoc in the world. As the Apostle Paul tells us in; Ephesians 6:12, “Our struggle is not against flesh and blood, but against the rulers, against the authorities, against the powers of this dark world and against spiritual forces of evil in the heavenly realms” In Revelation 12:7-9 John’s vision of the future suddenly flashes back to the past when Satan and his angels rebelled against God. This is the same event the prophet Isaiah described, “How you have fallen from heaven, morning star, son of the dawn. You have been cast down to the earth, you who once laid low the nations! 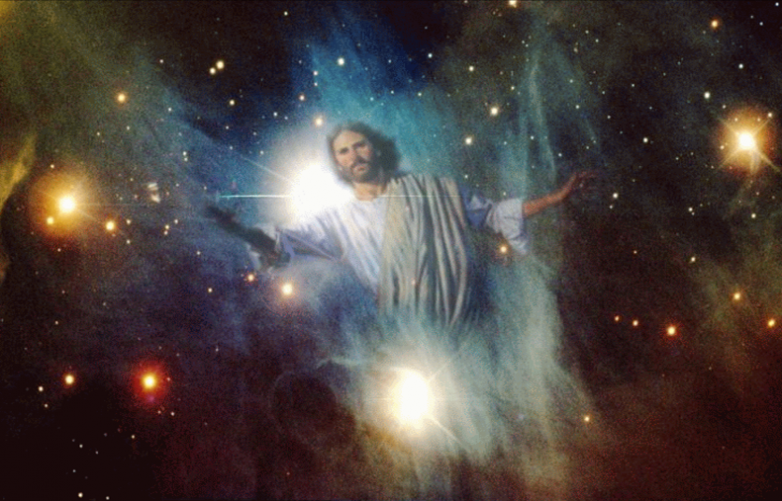 You said in your heart, ‘I will ascend to the heavens, I will raise my throne above the stars of God,” Isaiah 14:12-13. Many people are confused by this passage as to why would John use the past with the future. This is a common feature of prophecy where we often find the past, present and future side by side in the same passage. In ancient times the idea of a “morning star” was one of a “bright star” that outshines others. So we see in Isaiah, the poetic structure of chapter 14 uses the phrase to describe the greatness of Satan prior to his fall in contrast with his evil and rebellion against the Lord. Here it is important to note also that using a similar idea to compare both Satan and Yeshua (Jesus) does not mean they are similar. For example, someone might speak of the dynamic leadership of Hitler over Nazi Germany, yet would NOT consider this trait a good thing …because of all the evil he did in the Holocaust. So in the same way Satan lead his followers in rebellion and astray so Hitler lead Germany astray! With Yeshua (Jesus), the concept of “THE Morning Star” is used to also note His greatness! 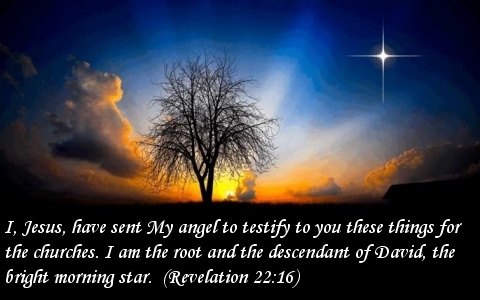 This is clear from the other title used of Him in Revelations 22:16-17, “I am the Root and the Offspring of David, the bright Morningstar. The Spirit and the bride say, ‘Come!’” Of great importance is the fact that Yeshua is noted as “the bright morning star!” His greatness is far above all others. Satan could not cause Yeshua to sin (Matthew 4:1-11) and could not stop His plans, nor defeat Him through death. Satan will ultimately be defeated by Yeshua (Jesus) and cast into the lake of fire (Revelation 20:7-10). Easton's Bible Dictionary states: a name figuratively given to Christ (Revelation 22:16; compared with 2 Peter 1:19). When Christ promises that He will give the “morning star” to His faithful ones …He “promises that He will give to them Himself …that He will impart to them His own glory …and a share in His own royal dominion; for the star is evermore the symbol of royalty (Matthew 2:2), being therefore linked with the “sceptre” (Numbers 24:17). All the glory of the world shall end in being the glory of the Church.” For the people of the world (and for Israel) - Yeshua HaMasiach (Jesus Christ) is the Root and the Offspring of David and expect Him to come…and He will reign as “King over all Earth.” This we can read in Isaiah 11, where the thousand years “Kingdom” is described. As believers in Yeshua (Jesus) we expect our Bridegroom will soon come to those Yeshua” calls Himself, “THE Bright and Morningstar!” And, there are several analogies between “the Morningstar” described about the “snatching away” or “rapture” - Coming of the Messiah for the believers - the signs of time clearly show us that Yeshua (Jesus) can come any moment to gather His believers so that they will always be with Him. But, the exact time only the Father knows. And, indeed, we can expect Him at any moment, but yet His arrival will be suddenly! When will that happen…? 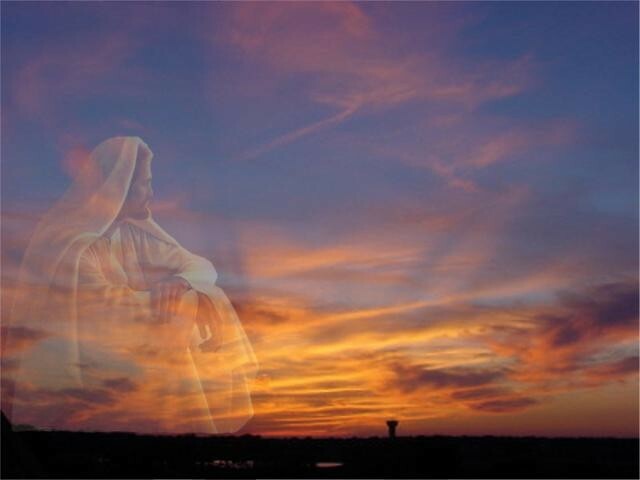 Is it possible to know a little bit more about the “when?” We saw that Venus must rise before it I getting light and when it is at its darkest… likewise, Yeshua (Jesus) shall come to gather His bride, when for us it is still dark as night. Spiritually, as the darker it gets in this world with sin and lawlessness increasing, the closer our Lord’s arrival is at hand. Peter writes in 1 Peter 1:19 to invite the “Morningstar to shine in our heart” and then our heart is filled with Yeshua (Jesus) as we look forward to His coming. Peter encourages us to expect the coming of the Lord and to study the prophecies of the Bible so that His true light shines on our path! Just like a compass has even a small error, after a long trip over the ocean the ship will not arrive at its destination and many ships have experienced that! There are many things facing believers and what a relief that again and again we can look up to our Lord Jesus Christ and tune the compass of our live so that we do not shipwreck! Dim stars cannot be seen with the naked eye, but when it is very dark, we can see these dim stars that are not visible under other conditions, such a light pollution. It is darkest just before dawn and then we can see the maximum number of stars in the skies. Therefore, we look for “the Morningstar” in the middle of the ocean, where we are not hampering the light. Likewise, we are as bright stars in a dark environment. The darker it gets, the more our light shines. Even from the smallest candles!